Saving the world can seem like a pipe dream when you’re struggling to make rent, but it’s almost impossible to ignore the feeling that things need to change. If that’s a sentiment you’ve felt yourself, take heart: you don’t need to be rich or powerful to make a difference. It could be as simple as donating five bucks instead of getting a coffee this month, or volunteering to write a jingle for a local non-profit’s commercial. Use the skills and time you have if you can’t afford anything else. And if you can’t spare time or talent, you can still make a difference by offering moral support. A Facebook like, a retweet or an encouraging “You can do it!” can sustain change-makers while they do what the rest of us wish we could. 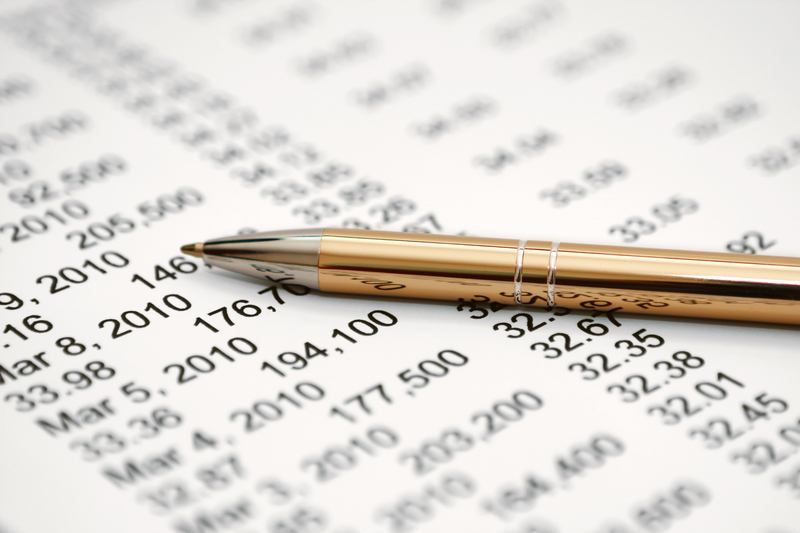 You can support the causes you care about without doing a budget. Even when you’re living paycheck to paycheck, odds are you have a box or a drawer in your house full of things you don’t need. Take inventory and look for things that might help others. Teachers love getting donations of school supplies, animal shelters will take old pet toys or water bowls, and homeless shelters always need clothing. Beyond the general donations you could make, think about a cause that is near to your heart and put yourself in their shoes. If they need lots of sharpies and cardboard to make signs during a march, donate your extra boxes and markers. The brave and fortunate who dedicate their time to making the world better get beaten down by hopelessness and frustration just like anyone else. For them, hearing a heartfelt message of support can be the difference between soldiering on or giving up for good. Reaching out on social media or taking time to leave a message or write an old-fashioned letter of support doesn’t take much time, but it can give an activist the support they need to keep striving. Your social media accounts can be a huge help to the world-changers. Maybe you can’t afford to give time or money to a cause you care about, but perhaps someone you know could. Beyond this, when you share content and “like” things, you are teaching the algorithms the social media giants use to pay attention to this type of content. All it takes is for one post to go viral to change the course of a movement. No matter how much money or power you have, every person only gets 24 hours in the day. Leverage this equalizing advantage by volunteering some of that time. Your efforts and your skills can be worth far more than cash or encouragement, and if you can afford to give them, they can make the biggest difference. You and everyone you know might be broke, but together you can make a big difference with a teeny individual cost. Sign up for a site like Patreon or GoFundMe and offer a dollar or two to those who need it. After that, encourage everyone else you know to do the same. You and twenty of your friends can give up a dollar each without feeling the pain, but that combined cash can mean a lunch to an up and coming movement. The easiest way to find out how you can contribute is to ask. Simply say” “I can’t spare the cash, but I want to help. What can I do?” More often than not what you’ll be asked to do won’t be hard, but it will make a world of difference. 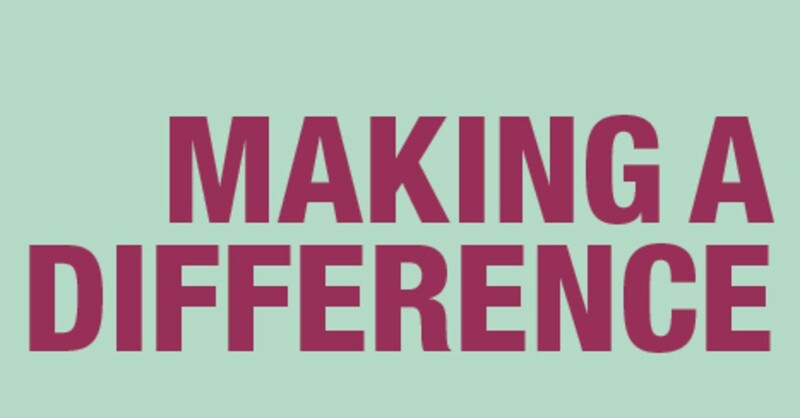 Now that you know a few ways you can make a difference even if you’re broke, go out there, find a cause you care about, and start making a difference. 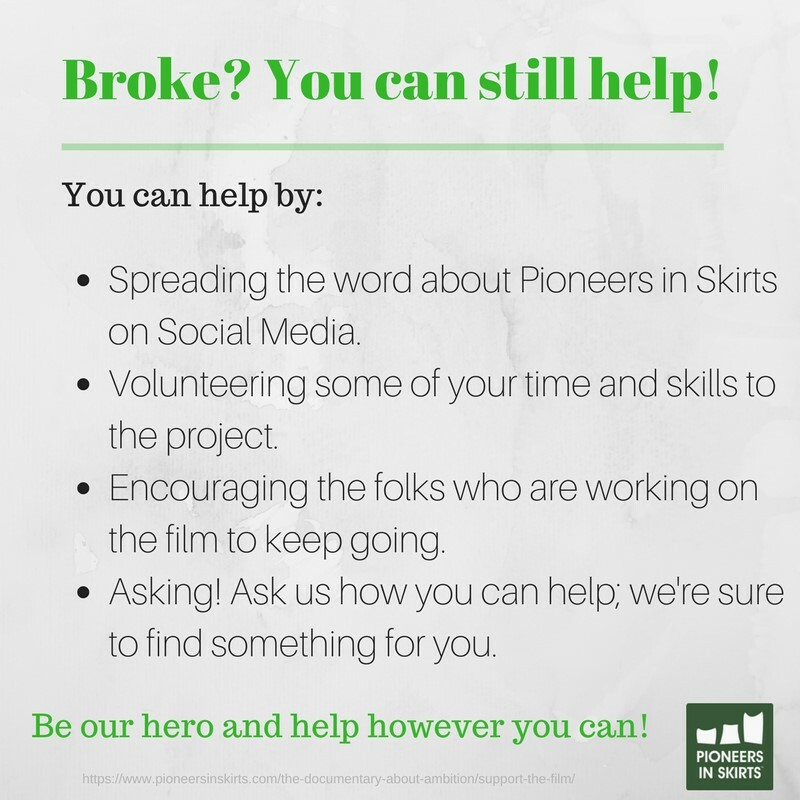 If you’d like to help Lea-Ann and Ashley finish Pioneers in Skirts, you can volunteer time, skills or dollars by following the links below. Either way, go make a difference!